I came up with this one after deciding two things: I wanted to try making my own salsa, and I didn’t want to pair it – once again – with tacos stuffed with chicken or turkey. The easy solution was to default to beef, but I figured that red meat would be a harder ‘sell’, especially after our indulgent St. Paddy’s Day dinner. 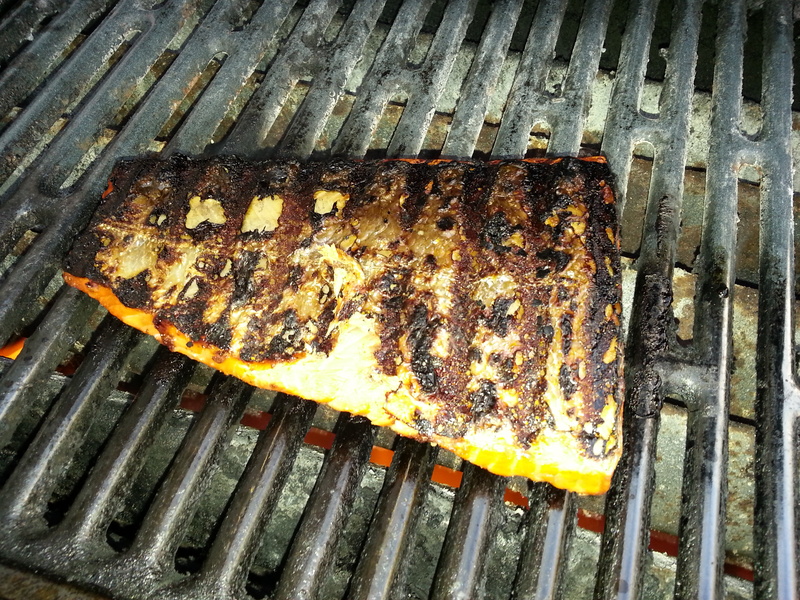 My solution was a fish taco, and what better fish to use in the wonderful Pacific Northwest than some beautiful Sockeye? Try this one. You’ll like it. Savory, sweet and spicy; all the things you want in a good bite! Mix all of the rub ingredients together, and spread them gently onto the fillet. Set aside in the fridge while you make the slaw. Mix the slaw ingredients together in a big bowl, and toss to combine. Heat the grill on high. Cook the fillet over direct, high heat, skin side down for four minutes, or until the fish will come off the grates easily, without sticking. 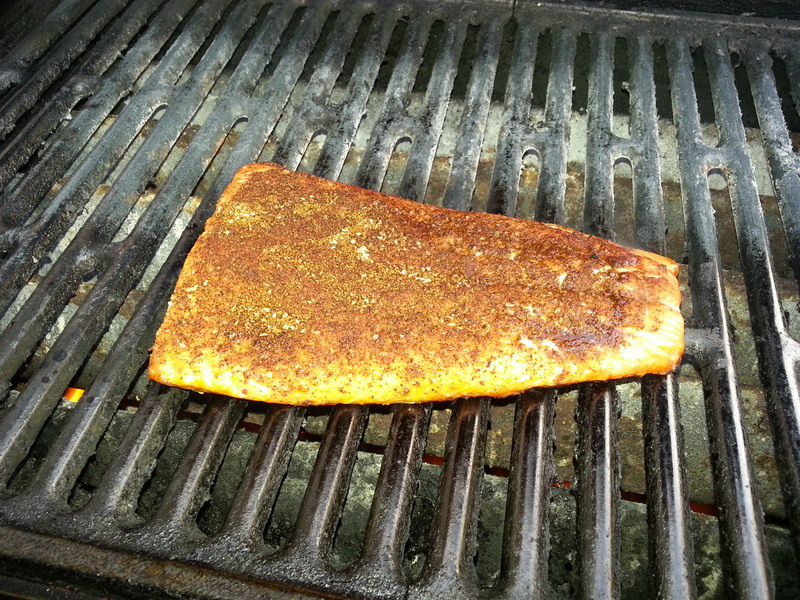 Flip the fish onto the side with the rub, continuing to cook for an additional three minutes. Remove from the grill, peel off the skin, and flake the flesh onto tortillas. 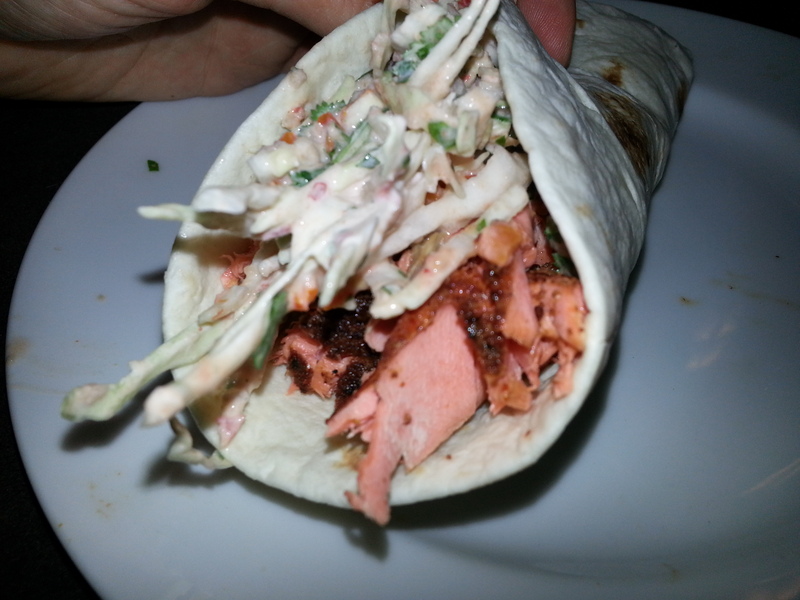 Top with slaw (and a little extra salsa if it suits you), and enjoy!